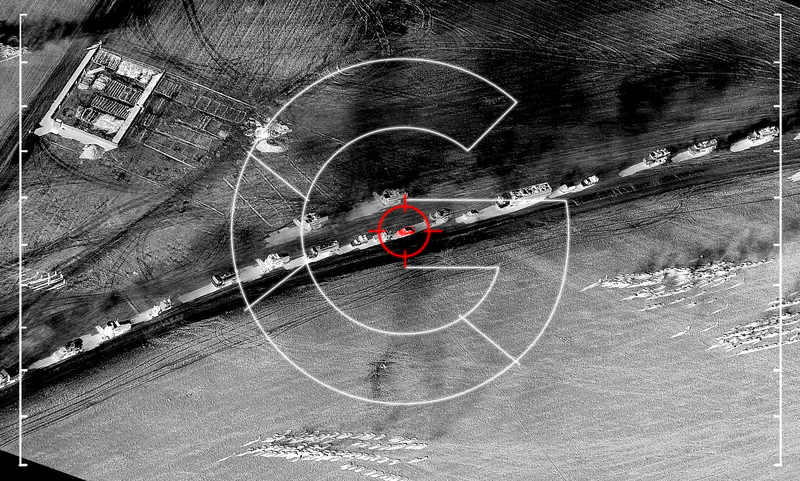 Some Google employees were outraged that the company would offer resources to the military for surveillance technology involved in drone operations, sources said, while others argued that the project raised important ethical questions about the development and use of machine learning. Google’s Eric Schmidt summed up the tech industry’s concerns about collaborating with the Pentagon at a talk last fall. “There’s a general concern in the tech community of somehow the military-industrial complex using their stuff to kill people incorrectly,” he said. While Google says its involvement in Project Maven is not related to combat uses, the issue has still sparked concern among employees, sources said. Artificial intelligence is already deployed in law enforcement and military applications, but researchers warn that these systems may be significantly biased in ways that aren’t easily detectible. For example, ProPublica reported in 2016 that an algorithm used to predict the likelihood of recidivism among inmates routinely exhibited racial bias. Although Google’s involvement stirred up concern among employees, it’s possible that Google’s own product offerings limit its access to sensitive government data. While its cloud competitors, Amazon and Microsoft Azure, offer government-oriented cloud products designed to hold information classified as secret, Google does not currently have a similar product offering. The Defense Department set an aggressive timeline for Maven—the project was expected to be up and running just six months after it was founded, and reportedly has been deployed in the fight against the Islamic State since December. To meet the aggressive timetable, the Defense Department partnered with AI experts in the tech industry and academia, working through Defense Information Unit Experimental, the department’s tech incubation program, and the Defense Innovation Board, an advisory group created by former Secretary of Defense Ash Carter to bridge the technological gap between the Pentagon and Silicon Valley. Schmidt, who stepped down as executive chairman of Google parent company Alphabet last month, chairs the Defense Innovation Board. During a July meeting, Schmidt and other members of the Defense Innovation Board discussed the Department of Defense’s need to create a clearinghouse for training data that could be used to enhance the military’s AI capability. Board members played an “advisory role” on Project Maven, according to meeting minutes, while “some members of the Board’s teams are part of the executive steering group that is able to provide rapid input” on Project Maven. Maven is overseen by the undersecretary for defense intelligence and Lt. Gen. John Shanahan was selected as the project’s director. Maven was designed to be the spark, according to Shanahan, that would kindle “the flame front of artificial intelligence” across the entire Defense Department. By summer 2017, the team set out to locate commercial partners whose expertise was needed to make its AI dreams a reality. At the Defense One Tech Summit in Washington, Maven chief Marine Corps Col. Drew Cukor said a symbiotic relationship between humans and computers was crucial to help weapon systems detect objects. Speaking to a crowd of military and industry technology experts, many from Silicon Valley, Cukor professed the US to be in the midst of AI arms race. “Many of you will have noted that Eric Schmidt is calling Google an AI company now, not a data company,” he said, although Cukor did not specifically cite Google as a Maven partner. A spokesperson for the Defense Department declined to say whether Google was its only private industry partner on Project Maven or to clarify Google’s role in the project. “Similar to other DOD programs, Project Maven does not comment on the specifics of contract details, including the names and identities of program contractors and subcontractors,” the spokesperson said. Have a tip about Google and Project Maven? Contact Kate Conger at kate.conger@gizmodo.com or Dell Cameron at dell.cameron@gizmodo.com.